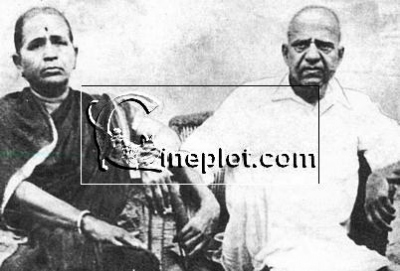 A spectacular role play depicting a dialogue of Dadasaheb Phalke with his wife Saraswati unraveled the passion that pioneered silent cinema in India. The 20 minute production featured the 43 year journey in all its ups and downs. The initial dream, his struggles, failures, triumphs were beautifully brought out by actress Lilettee Dubey and Muzaffar Ali Baig. The various incidents of his life including pawning of his wifes jewelery to make Raja Harischandra his first feature film, his qualities of perseverance and perfectionism were brought out in the enactment along with the fact that he died in penury in Nasik. The script of the play was written by Sharayu Phalke Sammanwar the great grand niece of Dadasheb Phalke and was designed by thespian M.S.Sathyu. The film maker Anurag Basu who was the chief guest at the function said, the Indian film industry has grown tremendously and stands tall and all should celebrate it in a befitting manner. Secretary Information and Broadcasting Ministry Shri Uday Kumar Varma said as a part of the Centenary Cinema, the Ministry has taken three initiatives-formation of a Film Promotion Board to give one window clearances to filmmakers wanting to shoot in India, setting up of a museum of Indian cinema at Gulshan Mahal in Mumbai and formation of the Naftional Film Heritage Mission to safeguard our film treasure for posterity. He also called for analyzing to know how the film industry grew in the last 100 years in India. The theatre presentation was followed by the screening of Dadasaheb Phalke’s film Raja Harsihchandra and Uday Shankar’s film dance classic Kalapana. The festival has a centenary package of 14 films from the National Film Archive of India, Pune which includes Achyut Kanya, Sant Tukaram,, Pather Panchali, Meghe Dhaka Tara, Pyassa, Awaara and Pakeejah.